The conference was attended by Minister of Infrastructure and Construction A. Adamczyk, Minister of Maritime and Inland Waterway M. Gróbarczyk, Minister of Transport of the Czech Republic D. Tok, Minister of Transport, Construction and Regional Development of Slovakia Á. Erseke, Undersecretary of State in the Ministry of National Development of Hungary Á. Mernyei, European coordinators of core network corridors TEN-T: C. Trautmann, K. Bodewig and P. Wojciechowski and T. Poreba, Vice-President of the Committee on Transport and Tourism of the European Parliament. During the conference, representatives of the Czech Republic, Poland and Slovakia signed a letter of intent on the implementation of cross-border sections of the Baltic–Adriatic corridor. The aim of the declaration is to stress the importance of implementation of key cross-border sections in the Baltic - Adriatic corridor in accordance with the TEN-T standards and within relevant, specific dates. During the conference the development of the core network corridors of TEN-T Baltic–Adriatic Sea and the North Sea–Baltic Sea was discussed. The importance of core network TEN-T corridors crossing through Poland for regional and urban development and prospects of the development of shipping and logistics industry was also discussed. Another topic was devoted to the challenges and opportunities arising from the implementation of work plans of core network corridors of TEN-T in the V4 countries. The participants also discussed prospects for further cooperation, possible development of transport projects crucial for V4, but also regional and macro-regional initiatives that could contribute to the strengthening of development of transport networks. The conference was attended by the Deputy Prime Minister Mateusz Morawiecki and representatives of the Visegrad Group countries, Bulgaria, Croatia, Slovenia and Romania (V4+4), including representatives of government and entrepreneurs. Talks concentrated on the protectionist measures undertaken by some of Member States in the EU internal market and the resulting barriers, which seem to curtail the smooth conduct of business activities by entrepreneurs. Participants discussed the mid-term review of the 2014–2010 multiannual financial framework in the context of the CAP and the future of this policy after 2020. Preliminary debate on CAP simplification proposals contained in the “Omnibus” Regulation also took place. Furthermore, the issues related to the “hygiene package”, the market mechanisms concerning the sugar and cereals market, the performance of projects in the field of agriculture within the Horizon 2020 Programme, as well as trade in agricultural properties were also on the agenda. The participants adopted common declaration regarding stronger involvement of Central European countries in research projects developed in the framework of the Horizon 2020 Programme. They also adopted the document of Polish V4 Presidency on Common Agriculture Policy in the context of 2014–2020 multiannual financial framework review. The meeting was attended by representatives of the European Commission, V4 countries, Bulgaria, Romania, Slovenia and Croatia (V4+4), as well as local government and experts, who discussed the implementation of the Urban Agenda for the European Union. During the meeting the current and planned actions, taken at the EU level, to strengthen the participation of cities in the implementation of EU and national development goals, were presented. Representatives of V4+4 discussed the national priorities and commitments to the Urban Agenda partnerships. Moreover, the first conclusions from the cooperation were presented, together with recommendations for the future partnerships, which are planned to start early next year. The meeting was an opportunity for representatives of the cities, Member States and the European Commission to discuss the actions taken within the framework of the Urban Agenda, ways to strengthen cooperation within V4+4, as well as to identify common areas of interests. The meeting held before FAC was devoted to issues concerning the agenda of the Council, a common V4 position with regard to FAC’s topics. The agenda of the forthcoming V4+ meetings at the level of Foreign Ministers was also touched upon. The purpose of this meeting was to work out common positions of the members of the European Parliament of the V4 countries in the field of the digital single market in the EU issues (EU digital agenda) in cooperation with representatives of the V4 governments and experts. Minister Zagórski presented the position of the Polish Government on the most important digital issues, in particular those that may be joint initiatives of the V4 group. A meeting dedicated to cohesion policy was attended by representatives of the Visegrad Group and Bulgaria, Romania, Slovenia and Croatia. It was chaired by Mr. Jerzy Kwieciński, Secretary of State in the Ministry of Economic Development. The participants exchanged views on the most important aspects of cohesion policy implementation in the current and future perspectives. The discussion focused on the actions taken to accelerate the implementation of the current 2014–2020 perspective and key elements that should be addressed in the common V4+ non paper on cohesion policy post 2020. The meeting was attended by Ministers of Interior of the V4 countries, that were joined by the interior ministers of Austria and Croatia and deputy interior ministers from Belgium, Bulgaria and Slovenia. V4 Ministers once again expressed their opposition to the proposed EU system of relocation of refugees. It was agreed that further discussion among the V4 and at the EU forum should be conducted on the basis of the concept of effective solidarity. Ministers of Internal Affairs of the Visegrad Group adopted a declaration on the establishment of Migration Crisis Mechanism. The aim of the Mechanism is to exchange good practices concerning support refugees outside the EU, eg. in the camps in Lebanon and Jordan, and the coordination of aid activities. This mechanism will enable the effective use of shared resources and experience of the participating countries, depending on current needs. The mechanism is intended as a platform for regular cooperation, open also to other EU Member States. Poland will be the coordinator of the initiative within the framework of the Visegrad Group. Polish Deputy Minister for transport strategy and international cooperation at Ministry of Infrastructure and Construction, Ms. Justyna Skrzydło chaired the meeting. The sessions were devoted to cooperation in the field of aviation, road and rail transport as well as intelligent transport systems (ITS). Representatives of Polish rail, road and aviation administration presented perspectives of development of the national transport infrastructure. Heads of delegations signed the conclusions that would be the basis for the future collaboration. The talks were attended by representatives of V4 and Croatia, Latvia, Lithuania and Slovenia. Discussion concentrated on the issues of fair and affordable prices of medicines, including issues related to the procedure and the scope of joint price negotiations. Subject fair and reasonable prices of drugs are one of the priorities of the Polish Presidency in V4 in the area of health and will be also a subject of the meeting of health ministers planned for spring 2017. Discussion was devoted to the overview of current activities of the Polish Presidency. Initial schedule of the political meetings due to take place until conclusion of the Presidency in June 2017, was also touched upon. The participants also discussed issues related to the International Visegrad Fund and its activities in 2017. Foreign Ministers of V4 countries and Western Balkans (Albania, Bosnia and Herzegovina, Montenegro, Macedonia, Serbia, Kosovo) as well as from Bulgaria, Croatia, Romania, Slovenia and Italy with participation of the High Representative of the EU for Foreign Affairs and Security Policy F. Mogherini discussed the process of integration of Western Balkans region with European Union. During the meeting a wide array of security related issues was tackled: migration, energy security, hybrid threats, terrorism and organized crime. The V4 Foreign Ministers adopted a joint statement. The meeting was devoted to issues related to national development strategies of e-Health and the legal aspects relating to medical data. The meeting, organized by National Security Bureau, was devoted to, among others, the implementation of the NATO Warsaw Summit decisions, V4 defence cooperation and regional security situation. During their working meeting the Heads of V4 Parliaments discussed such topics as the future of the European Union and ways of strengthening joint V4 actions in response to the current challenges the EU faces. A separate agenda item was devoted to the concepts that would strengthen the parliamentary dimension within V4. The Heads of Parliaments stressed also an importance of the economic aspects of the V4 activities and discussed new initiatives V4 in the fields of culture, communication and science. During the meeting an exchange of views on the telecommunications issues and approval of a common position for the V4 countries are planned. It will be a recurring meeting held in the country currently holding the V4 presidency. In the meeting, the coordinators will sum up the current year and discuss a proposal of organizing competitions in the following year. The Olympic Hopes Tournament is the Visegrad Group countries’ initiative in the field of sport. The Olympic Hopes Tournament is a series of sports competitions in youth age categories, held in the Visegrad Group countries. The participating athletes are representatives of the Czech Republic, Slovakia, Hungary and Poland, as well as invited young athletes from other countries. The competitions are held across the calendar year. There will be an exchange of views on proposed changes in the legal framework, common positions on certain issues will be identified and a joint V4 document prepared. The congress will host 500 participants, mainly from Visegrad Group countries. A number of interactions between start-ups from Poland, Czech Republic, Slovakia and Hungary and corporations are planned. Congress will focus on new technologies and innovative solutions for financial (fintech) and insurance (insurtech) sectors. The main objective of the meeting will be to prepare first draft of the common V4+ non-paper on post-2020 cohesion policy, which was initially discussed by the ministers in November. 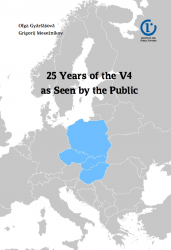 The common V4+4 brochure on the impact of cohesion policy for the Central Europe and benefits of V4+4 cohesion policy to EU-15 will be also discussed.